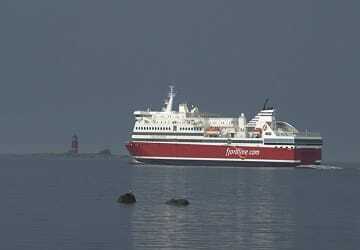 Fjord Line is a Norwegian ferry company operating sailings from multiple ports in southern Norway to Denmark and Sweden. 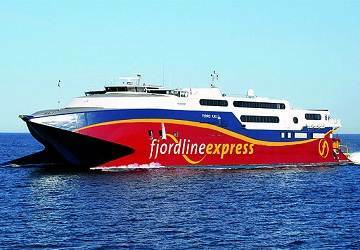 Fjord Line began operations in 1993 with ferries running between Norway and Denmark before taking over the link between the UK and Norway from Color Line in the late 1990s. A difficult period followed, resulting in the closure of the UK link and changes of ownership, before a merger with Master Ferries in 2007 set them back on the path to success. Today, Fjord Line has approximately 600 employees on land and 430 working at sea, all year round. 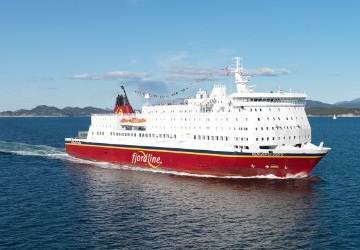 Now with modern ships and ample capacity for both tourist and commercial vehicles, Fjord Line is able to offer regular daily departures across numerous routes and destinations. 2013 and 2014 saw the introduction of the company’s first 2 environmentally friendly cruise ferries MS Stavangerfjord and MS Bergensford, respectively. The first and largest ferries in the world to use single fuelled LNG engines, they are powered by liquefied natural gas, resulting in a 23% reduction in greenhouse gas and 100% reduction in sulphur emissions. View Fjord Line timetables, prices and book Fjord Line ferry tickets with directferries.com. Looking for an alternative route or ferry company to fit your plans? 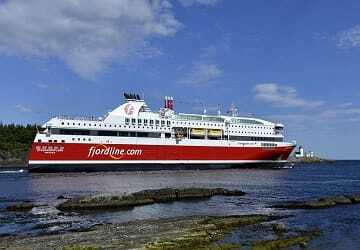 Don’t worry, we’ll also compare Fjord Line with alternative ferry companies in your search to help you choose. We had a very pleasant trip from Bergan to Hirtshals, despite departing late from Bergen the time was made up to arrive in Hirtshals on time.